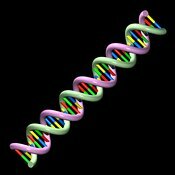 Image of DNA or deoxyribonucleic acid. 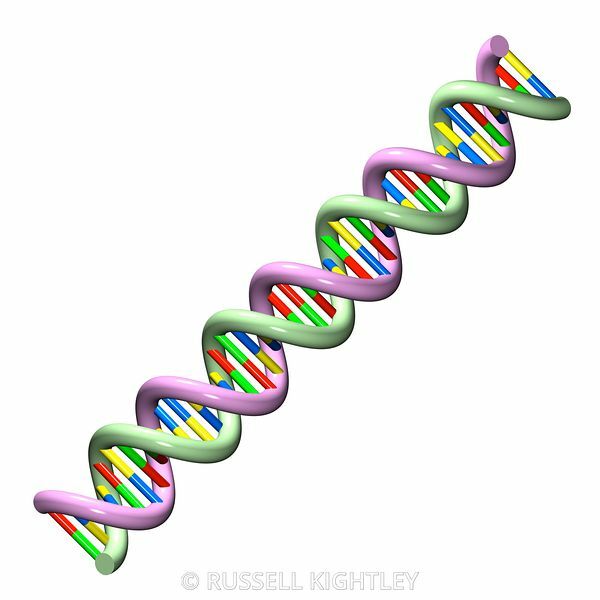 The molecule is a double helix whose strands are linked by base pairs. 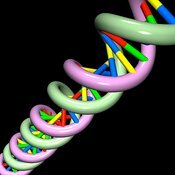 DNA encodes genetic information in the sequence of these bases (adenine, guanine, cytosine, and thymine). The coiling strands are made from a sugar phosphate polymer.